Joan is an expert and trainer in Mastering the Art and Science of Emotional Freedom Techniques, aka, EFT, tapping. She earned certification in the Gold Standard of EFT from the Association of Comprehensive Energy Psychology. She is an international teacher, therapist and consultant. She has been helping individuals and families since 1994. “My passion is helping the world with Emotional Freedom Techniques and other energy psychology interventions." Joan is the founder of Joan Kaylor, Counseling and Consulting International. She is an Energy Wellness Coach and Consultant. She is a sought-after speaker and trainer. Joan is a best selling international instructor on Udemy. 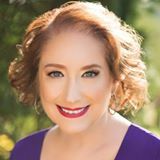 She has trained thousands in EFT, chakra balancing, weight lose, ending fear, negotiating better deals and loving relationships. Joan is a member of the Association for Comprehensive Energy Psychology, ACEP, the Association for the Advancement of Meridian Energy Therapies, AAMET,the Anxiety and Depression Association of America, the International OCD Foundation, and the TLC Foundation for Body Focused Repetitive Behaviors. Joan is certified in energy psychology, Emotional Freedom Techniques and cognitive behavior therapy. Interests: International Instructor of Emotional Freedom Techniques, aka, tapping, Worldwide Consultant helping people create solutions, and healer.